The Alabama-Auburn rivalry has been deemed as one of the most intense rivalries college football, or football in general, has to offer. However, that may not be the case in recruiting. While Michigan recruits have been seen burning letters from Ohio State, Alabama and Auburn commits have flipped back-and-forth with the frequency of your commonplace square dancer. Brent Calloway was committed to Alabama seemingly since the beginning of time, just to flip to the Tigers on Signing Day, before flipping yet again to the Tide before the day was over. 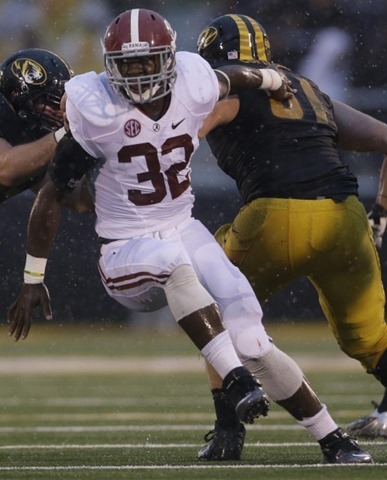 T.J. Yeldon made the switch from Auburn to Alabama just in time to enroll early at the Capstone. Cyrus Kouandjio made the same switch after announcing on national television that he would be attending Auburn. 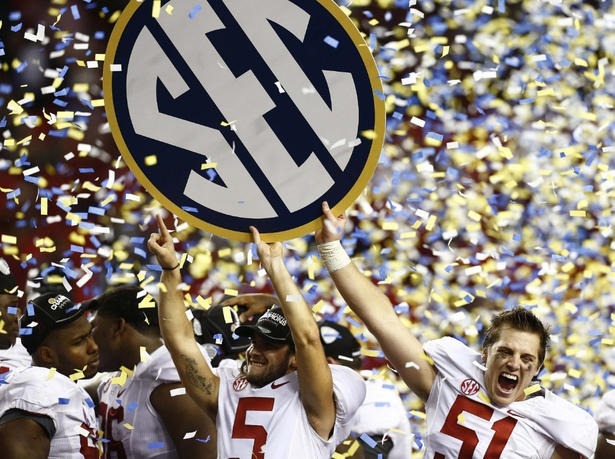 All of the switcheroos came to the celebratory yells of the Crimson Tide Nation as it looked like Nick Saban was becoming an unstoppable force. 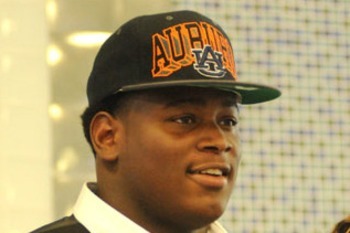 Reuben Foster (pictured left, photo from US Presswire), in the Class of 2013, made a similar switch to Calloway’s, undoing an early commitment to Alabama to go with the Tigers. While the rivalry is heated, maybe it is not as heated on the recruiting trails. Eddie Lacy and Chance Warmack seem to think so. There is never an off week in the Southeastern Conference. Just ask Alabama offensive tackle Cyrus Kouandjio. Just seven days after rising to the tall task of containing LSU defensive end Sam Montgomery, Kouandjio had to help D.J. 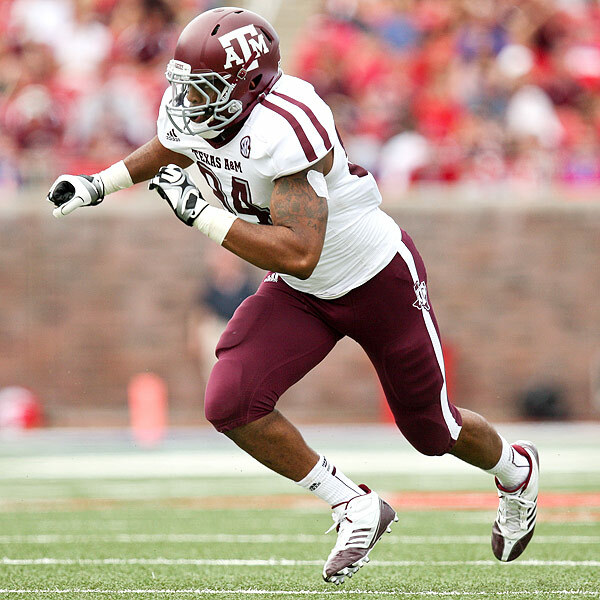 Fluker combat Texas A&M defensive end Damontre Moore, who has reinvented himself in the offseason to the point where he was able to chase a Mississippi State wide receiver from behind. As a 6-foot-4, 250 pound defensive lineman. Kouandjio came away impressed with Moore for the few times they met, as Moore spent most of his time rushing against Fluker. The speed that Moore found over the offseason may present a difficult challenge for most offensive linemen, but Kouandjio has a grasp of it. For more from Kouandjio, you can see video of the rest of his interview by clicking here. The Alabama coaching staff has named its Players of the Week for the week of the Tide’s big road win against LSU. Offense: D.J. Fluker, Cyrus Kouandjio and Kevin Norwood. Fluker and Kouandjio tied for the team-high with an 89 percent grade from the coaching staff. 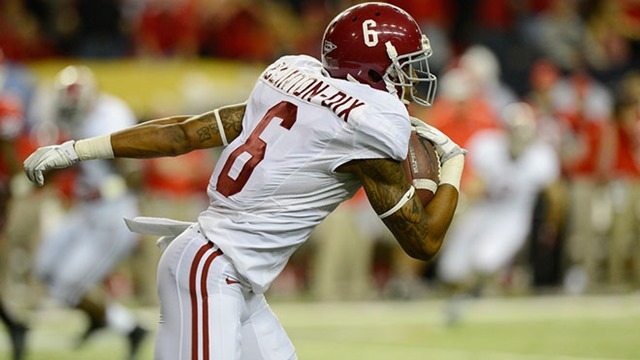 THe two also combined to help the offensive line lead the way for Alabama to run for 166 yards against the Tigers. Norwood caught five passes for 62 yards, including three-straight on the final touchdown drive. Defense: Adrian Hubbard and Xzavier Dickson. Hubbard, also named the SEC Defensive Player of the Week, earned a career-high 12 tackles, including 2.5 tackles for a loss and 0.5 sacks. Dickson added five tackles. Special Teams: Cody Mandell and Vinnie Sunseri. Mandell punted seven times for 45.1 yards per punt, including dropping two inside-the-20. Mandell booted one for 56 yards and another for 55. Sunseri had two of his four tackles in kick coverage. Click here to listen my AUDIO REPORT on Cyrus Kouandjio and his relationship with Sal Sunseri, whose defense he will try to conquer on Saturday.